Made In USA Certified® announced that BedInABox®.com, the US manufacturer and Internet retailer of high quality, technologically advanced memory foam and latex mattresses, has been recertified for having its mattresses and foundation Made in USA by Made In USA Certified®, the nation’s leading 3rd party independent source for USA –Country of Origin claims. This means that the mattress and foundation assembly and production processes have been independently audited and verified that the majority of components used in the manufacture of these products is made in the United States. The Made In USA Certified® certification process works by evaluation a company’s supply chain for individual products. Vendors list components/ingredients and the percentage cost value of the components to the final product. Once this product is evaluated, it will then be assigned a unique ID and then either awarded a seal or rejected. BedInABox®.com sells both memory foam and latex mattresses that are designed to relieve pressure points, dissipate body heat, and recover their shape quickly. The company believes in comfortable, affordable sleep for all. BedInABox®.com has all its memory foam mattresses certified by two independent labs for performance, content and durability and is also committed to improving the environmental impact of its memory foam by further decreasing the percentage of petroleum based raw materials used in the manufacturing process. The company utilizes unique packaging to compress a mattress into a small box that can be shipped quickly and is easily moved through narrow areas. 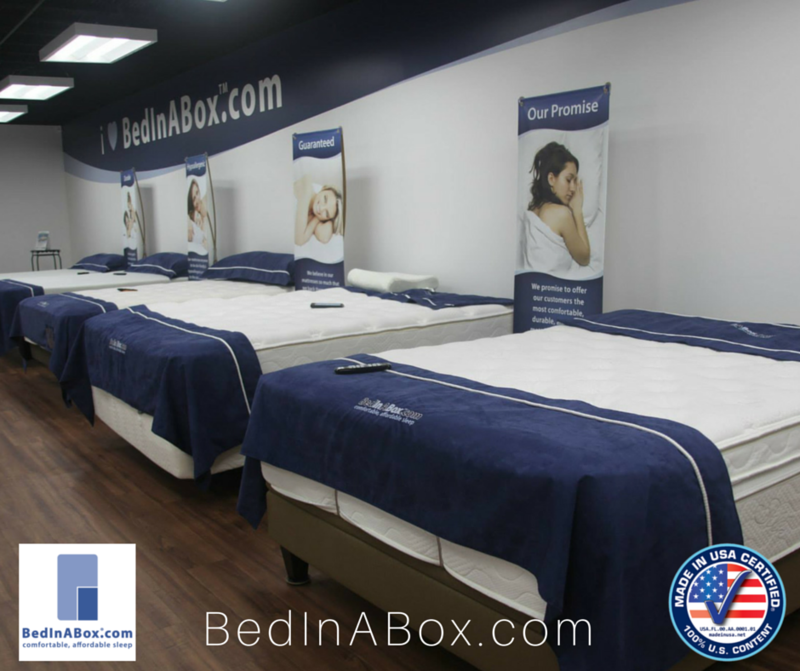 For more information about the Made In USA Certified® certification service or BedInABox®.com, please visit their websites.